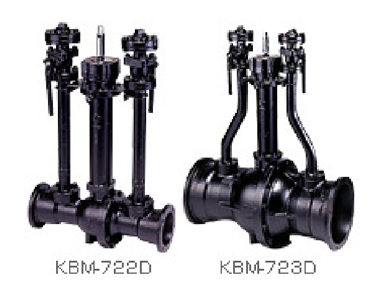 Mechanical type (GM II) connection with conduit pipe provides excellent flexibility. Using GM II type steel short pipe enables connection with steel pipes. Depending on underground depth, three types [S, M, and L (with extension)] are available. Soft seat (special rubber) provides excellent sealing performance. Special reducer enables low-torque, easy open/close operation. Compatible with a maintenance hole with a diameter of 600. A dissipation tube enables multiple-purpose operations, including bypassing, pressure measurement, and purging, suitable as a thermal conversion valve.